SciAm: Are Astronomers on the Verge of Finding an Exomoon? 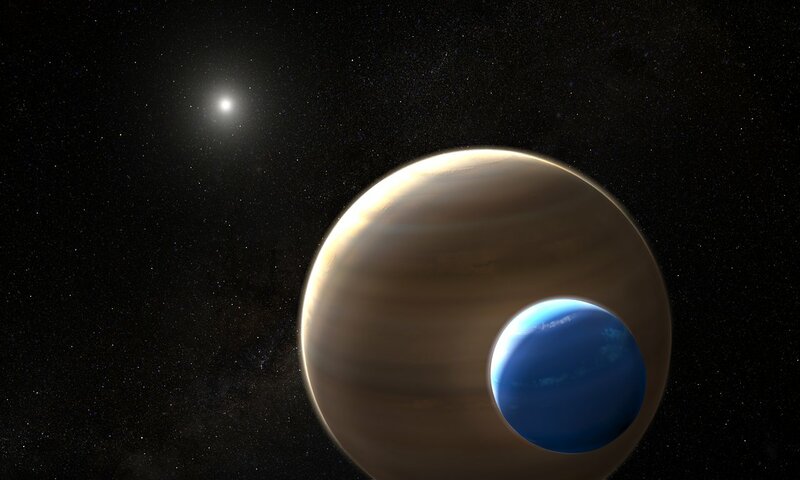 Re: SciAm: Are Astronomers on the Verge of Finding an Exomoon? Why astronomers reluctantly announced a possible exomoon discovery. After hints leaked out on Twitter, researchers made last-minute decision to reveal what might be the first discovery of a satellite outside our Solar System. René Heller, an astrophysicist at the Max Planck Institute in Germany, took the opportunity to independently analyze the Kepler data. In addition to teasing out a size range for the potential moon, Kepler 1625 b-i, he also explored its possible formation methods. After carefully analyzing an ensemble of the highest quality planetary transit signals, we have determined that exomoons appear to be quite rare in the inner regions of star systems (regions of space close to the host star). This finding was both remarkable and, frankly, a bit disappointing. Why would this finding be surprising? That is exactly what we see in the Solar system. to wander into the inner regions they would mostly evaporate. Ergo: this finding was both unremarkable (and, frankly, a bit disappointing). He didn't say it was surprising. He said it was remarkable. The two words can mean very different things. Scientifically, expected negative results, obtained with difficulty, are reasonably described as remarkable. would be described as remarkable without any sort of clarification. Do we know that happened? After all, this was a narrow quote mined from a much longer article. A moon as massive as Neptune might well have natural satellites of its own. I wonder what a moon's moon should be called... A moonite perhaps?